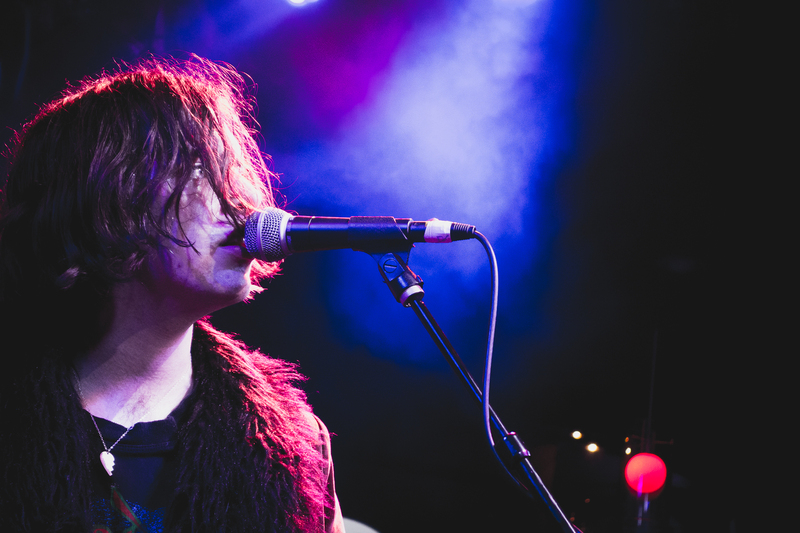 I take a lot of photos at gigs. Most are taken with a small pocket camera (Sony RX100). Very occasionally I might have a bigger camera with me, but I don’t take photos seriously. Unless I’m at the front and I’m sure I’m not getting in anyone’s way, then I don’t take photos. If I do take photos, I never move around so I’m limited to whatever photos I can get from where I’m standing. I tend to take them in batches at the beginning, middle and end of the gig. After all, I want to enjoy the gig. So I miss lots of shots either because my camera is in my pocket, I’m in the wrong position, or my camera’s simply not capable enough to deal with the lighting. So rightly or wrongly, I’m proud of many of the shots I do get because there’s a large element of luck to capturing them. I would like to take better photos. 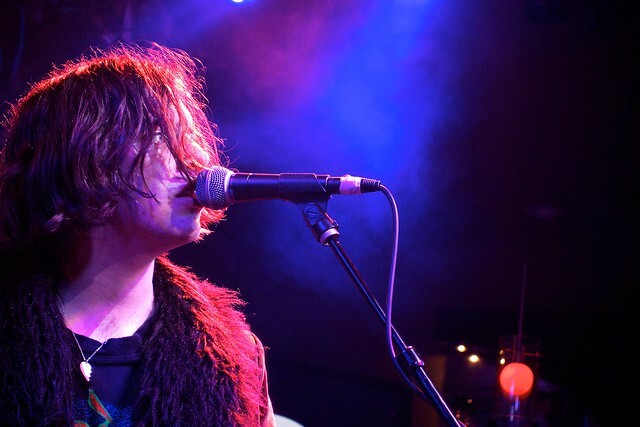 In 2014, I think I might go along to some gigs in small venues with a decent camera purely to photograph them. 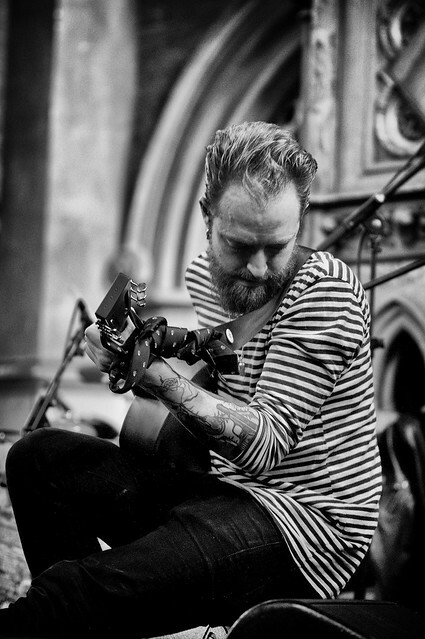 As I’d love to get some confidence to photograph a gig as a photographer would where I’m less conscious of disturbing the crowd and to see what I’m capable of doing. This post gathers together some of my more interesting shots from this year and why I like them. Trans-Siberian March Band – Taken with my newest camera, the Sony A7. I know it’s not the most interesting but I love the colours of this photo. 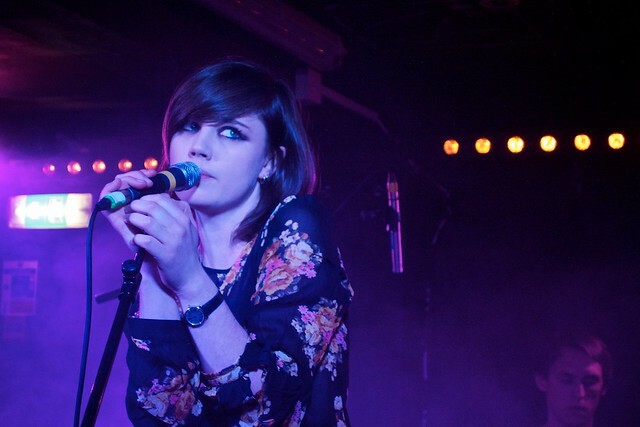 Rose Elinor Dougall – Taken with the RX100. Rose sounds and looks stunning and I love the way she’s looking away in this photo and gives her a vulnerability that suits her music. The Savages – Although Gemma’s face is overexposed. 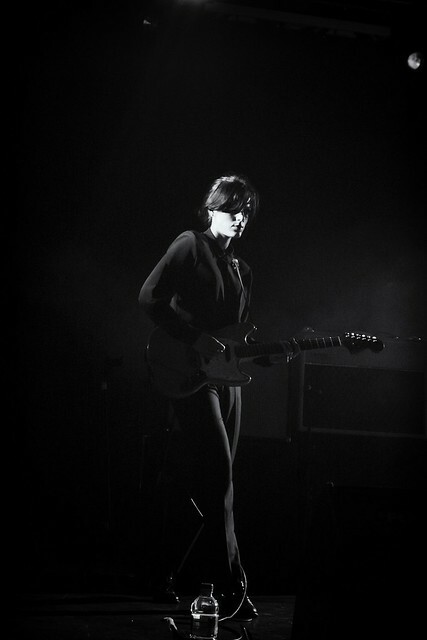 I think there’s an elegance to the way Gemma’s playing her guitar that sets it apart from the usual guitarist photos. 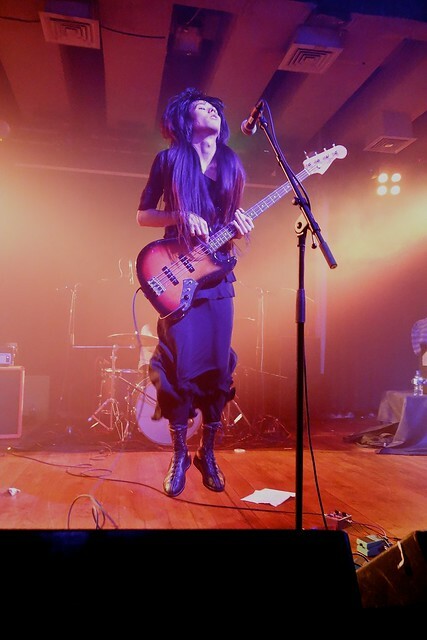 Bo Ningen (RX100) – A great band to photograph but difficult with a pocket camera as the band members move around so much that it’s often impossible for a pocket camera to keep focus. 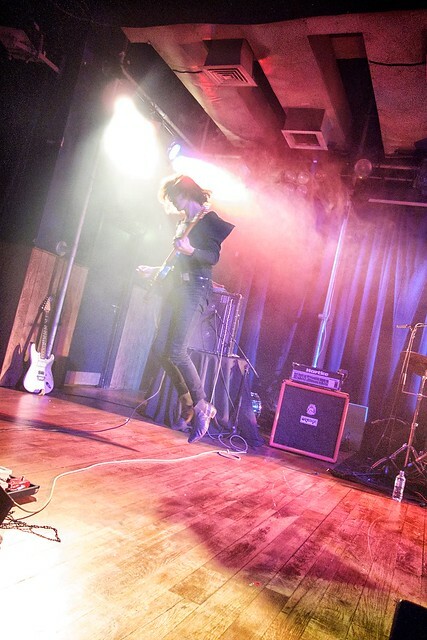 I love capturing guitarists jumping. But when I’m using a pocket camera, it’s usually more luck than skill. 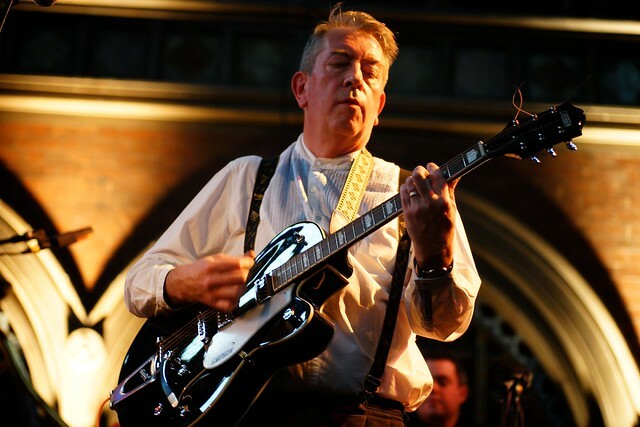 Telegram (RX100) – Two jumping guitarists in one gig. I love the colours in this gig. But this is 100% luck as I was unable to move. 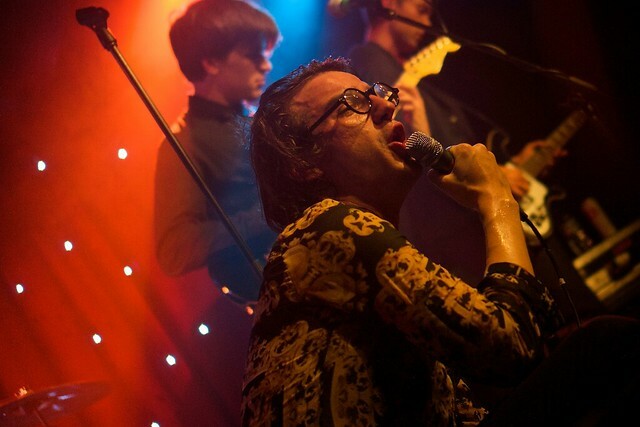 Spector – Taken with my A77 DSLR. 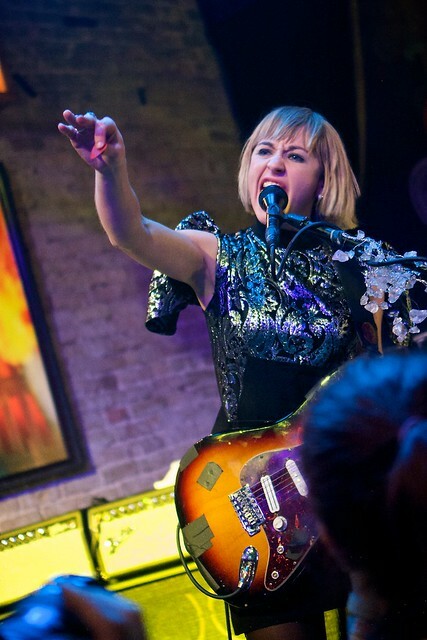 One of the few gigs where I had an SLR with me. Quiet like this shot. 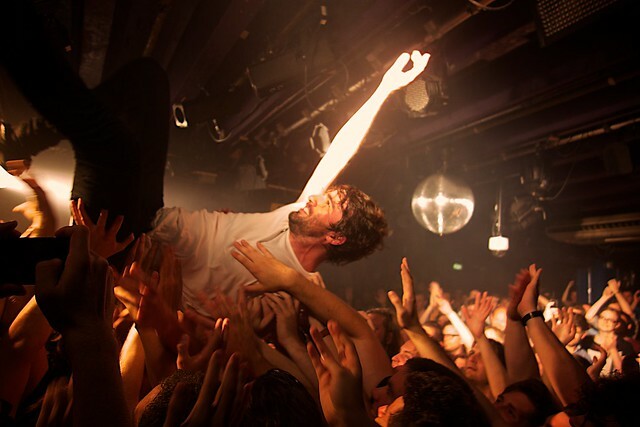 Japandroids (RX100) – Love crowd surfing photos. Difficult to capture with a pocket camera. Slightly overexposed, but you don’t have time to deal with settings when you’re capturing a photo quickly. 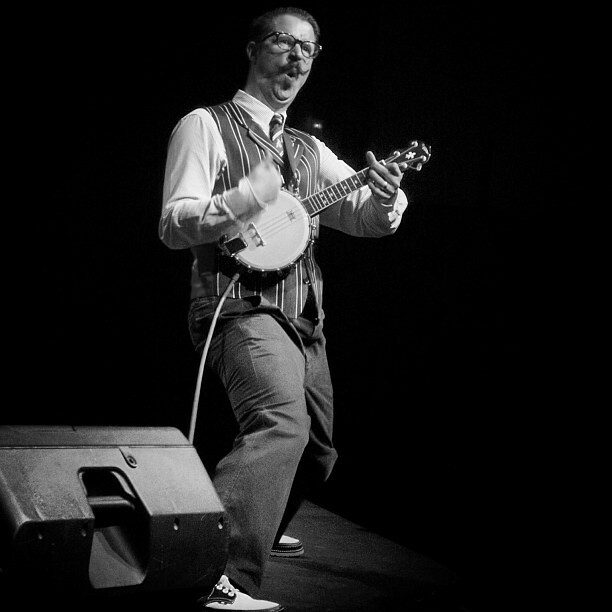 Mr B The Gentleman Rhymer (RX100) – He’s very photogenic. Chelsea Light Moving (RX100) – Amazed to get this shot with a small camera. Converting it to B&W hid some of the noise that was in the colour photo. Think it works. Pleased with this one. 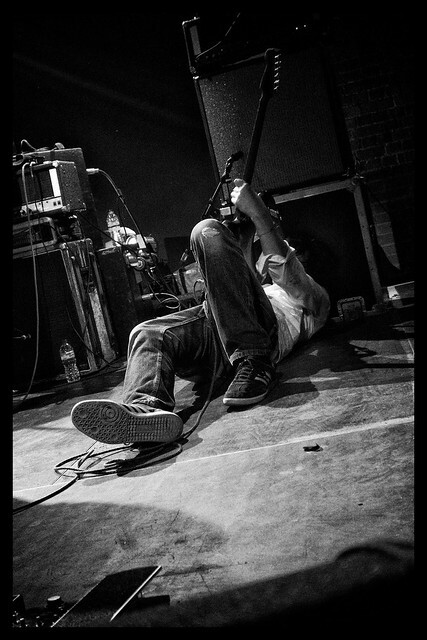 Think it captures what Thurston Moore’s all about. 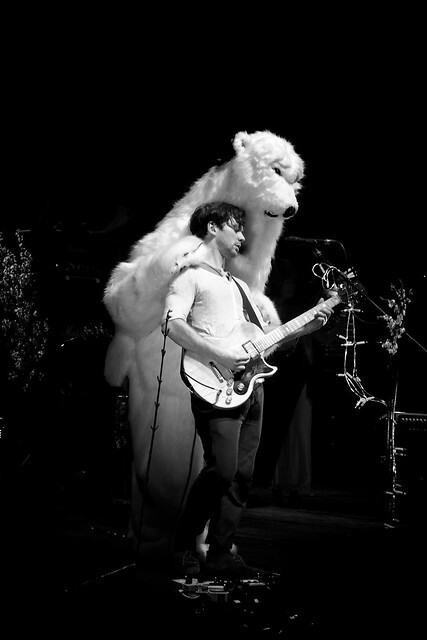 British Sea Power (RX100) – Like white of the bear with the black background just works. 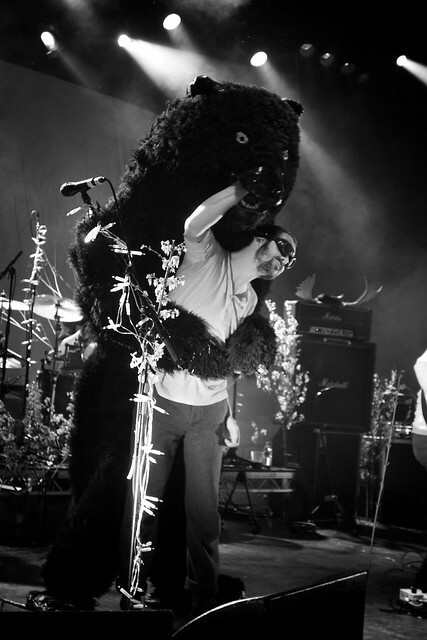 British Sea Power (RX100) – I think it captures the anarchy of a BSP gig. Peace (RX100) – I took a DSLR and NEX to SXSW hoping to get a chance to use them. But several venues refused to let me in with my NEX so I had to use my pocket camera. It’s rare that there’s enough light to be able to zoom in with the RX100. So I’m pleased with this shot. I love the colours. 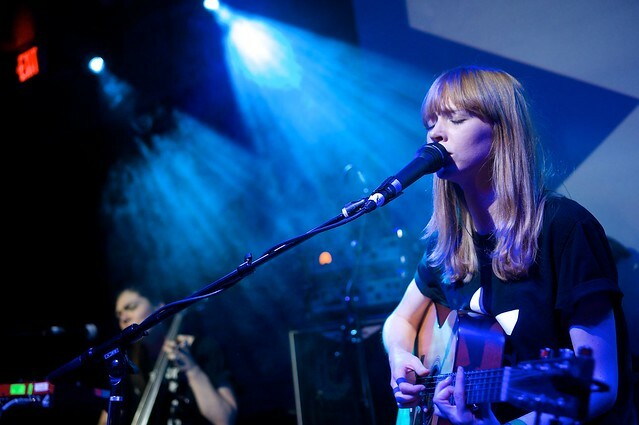 Lucy Rose (NEX6) – This was the quality I was expecting to capture every night at SXSW. Nice separation between Lucy and the background. Something that’s difficult to do with the RX100. 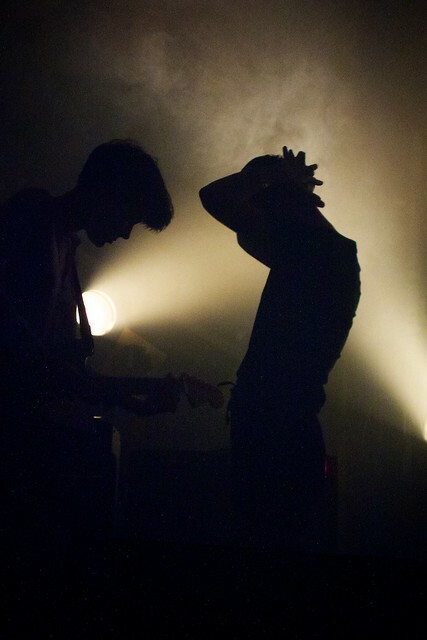 Savages (RX100) – Rare that I can get a silhouette shot because you need to be in the right place at the right time and stuck in the crowd means they’re a rare occurrence. So was pleased to get this one.